– what the heck is it? 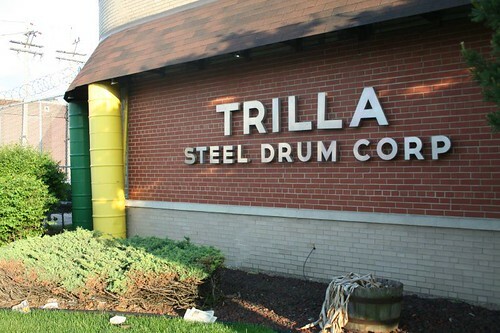 Thus ran my initial reaction upon seeing the building of the Trilla Steel Drum Corporation during a cross-south side bike trip. 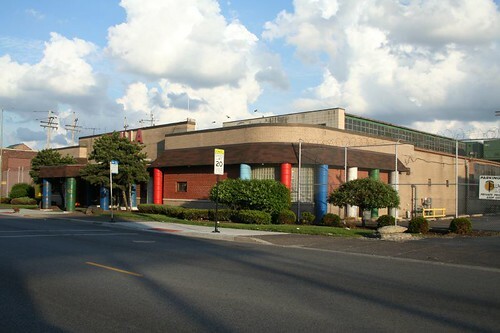 The company’s low-slung factory and office building sits alongside 47th Street in a region of light industry, bars and houses. The building’s designers made delightful use of the company’s signature product, both to enliven the building and to advertise the company’s wares. 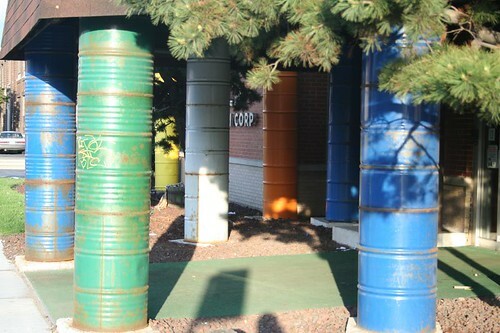 Stacked steel drums serve as decorative pilasters and as actual columns, holding up the roof of the front portico. 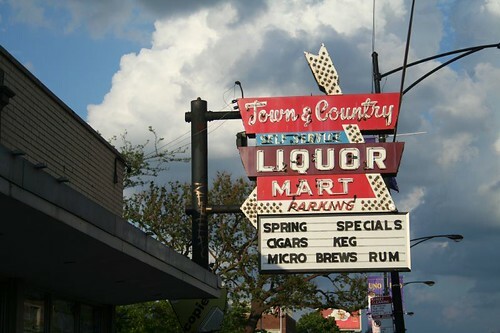 Just across the street, Town & Country Liquor offers both a small batch of Chicago’s characteristic incised and glazed glass block, and a handsome Midcentury neon sign. Brings back fond memories of growing up in Brighton Park. My folks were the original owners of T&C. 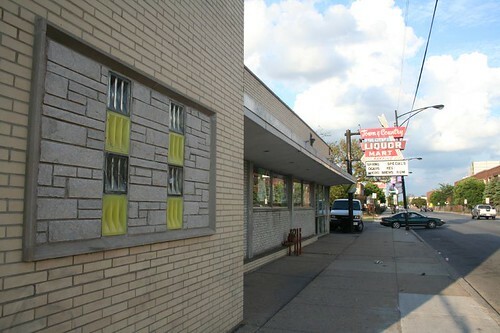 If you’re interested, and if I can find them, I have some pics of what the building originally looked like before it was turned and the liquor store built on the front. If you ever get back there, you’ll see the original buildings windows along the alley facing Sacramento. They’re the bricked up feature facing Sacramento. Great sight! Love all the pics.